AS WITH ANY FERMENTATION PROCESS, CLEANLINESS CAN’T BE EMPHASIZED ENOUGH. KEEP IN MIND THAT YOU ARE CULTURING BACTERIA AND YEAST AND IT IS JUST AS EASY TO GROW HARMFUL BACTERIA AND YEAST AS IT IS GOOD. Add the salt, milk kefir grains a some of the water to the jar and mix with a non-metal spoon. 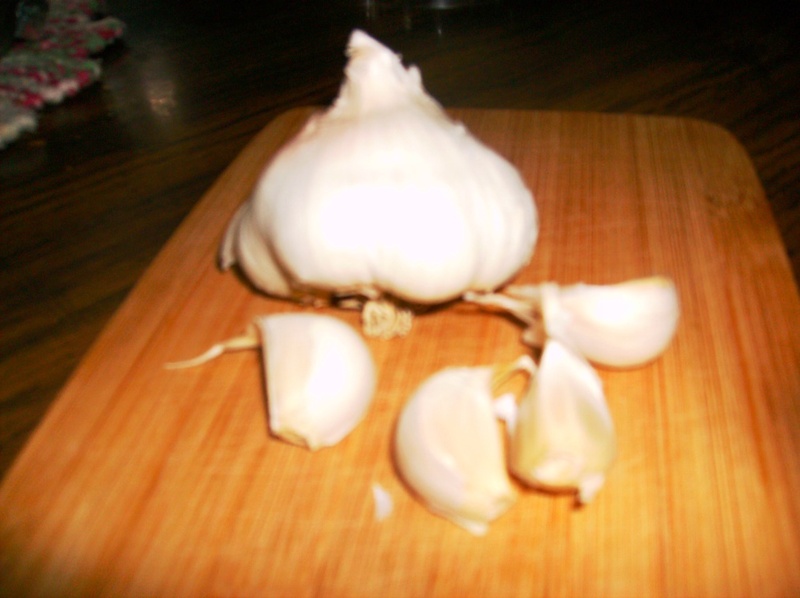 Add the peeled garlic cloves and top with water until 1 ½ inches above garlic. 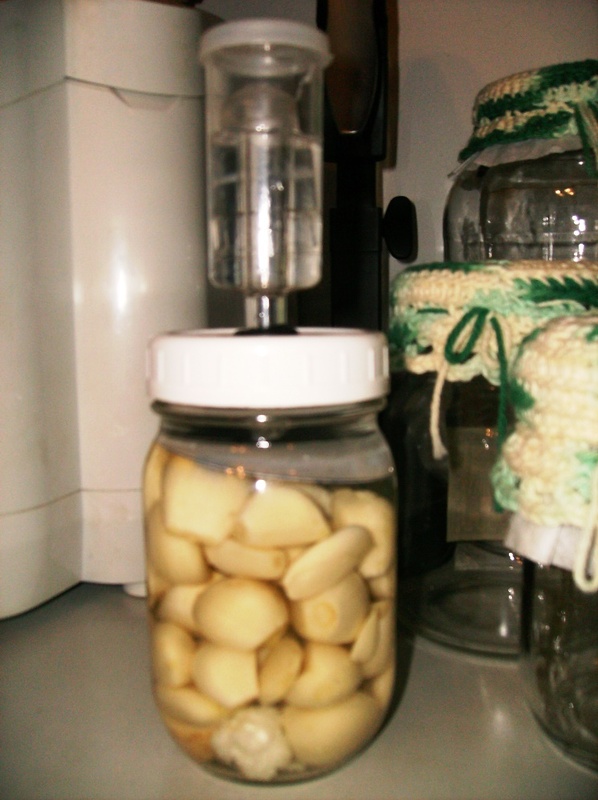 Weight garlic cloves down to keep submerged below brine. I use a plastic cottage cheese lid cut in a circle to the circumference of the inside of the jar. Put on a loose fitting non-metal lid (gas will form so it needs to escape). I prefer to retrofit plastic mason jar lids with holes and rubber grommets so that I can use a fermentation air-lock. Leave in a cool place out of direct sunlight until it reached the desired fermentation. Put in the refrigerator to stall the fermentation process when it is as fermented as you desire. This is my first batch and I will be trying to reuse my grains in another batch of garlic. I never really have a shortage of grains as they multiply in my milk kefir pretty quickly. I’ll post the results in updates to this blog post.